This creepy carousel is one of our favourite works in the Tate's permanent collection, and it's on loan to this exhibition. Copyright Tate. 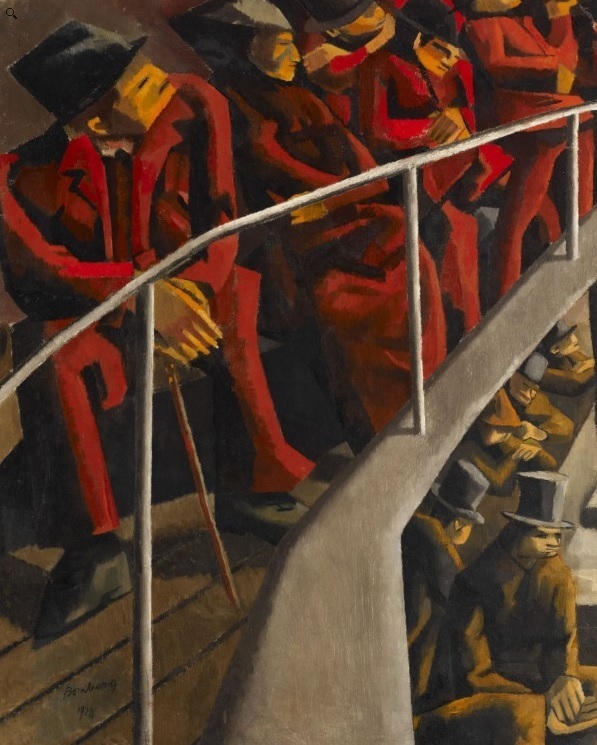 The angular lines make for striking theatre goers in this painting by David Bomberg. Copyright Ben Uri collection. 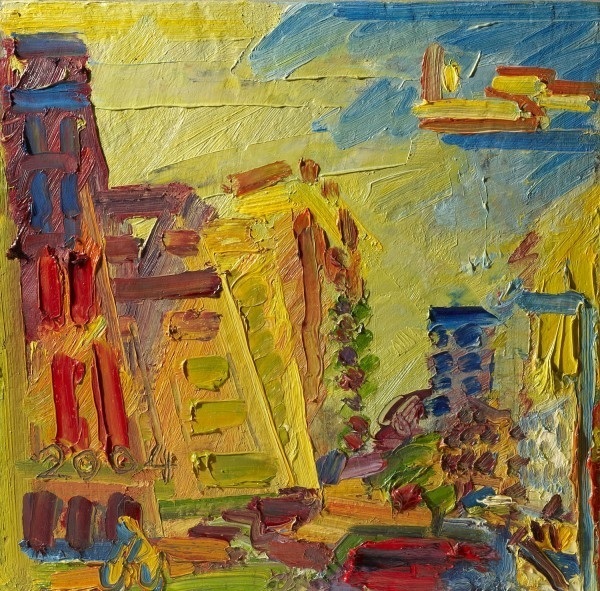 Frank Auerbach's colourful view of Mornington Crescent. Copyright Ben Uri collection. Understandably, Jewish persecution is a major theme in this collection. Copyright Ben Uri collection. 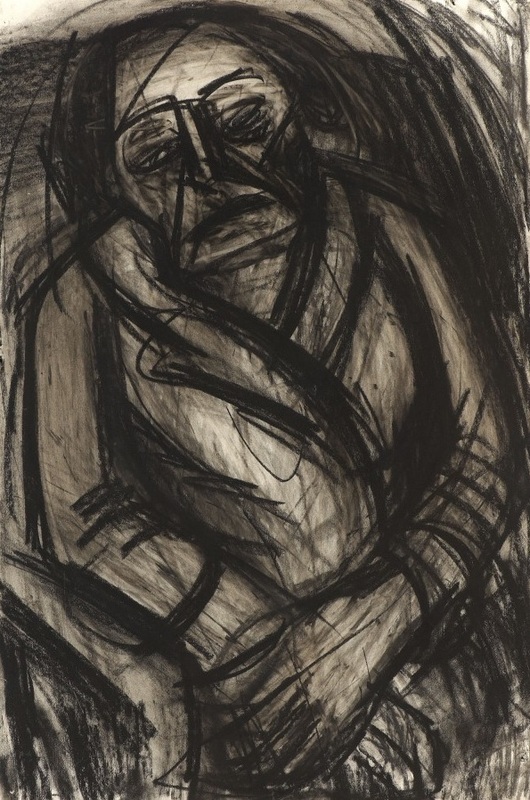 A dark portrait in Leon Kossoff's signature style. Copyright Ben Uri collection. The Ben Uri Collection is now 100 years old. 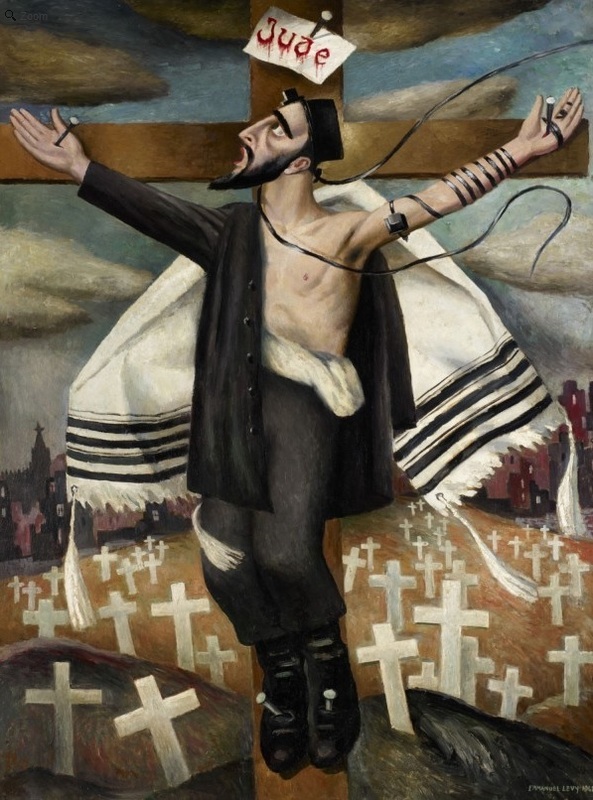 It has its origins within the first world war and was designed to act as a collection of works by Jewish emigres; over time many acclaimed artists have had work either remain in or pass through the collection. While it has a gallery space in North London, to celebrate the centenary there's an exhibition within King's College London's Inigo Rooms — within the east wing of Somerset House. The exhibition opens with more traditional works and these are arguably the weakest on display. Where this collection excels is in the darker and more abstract pieces. 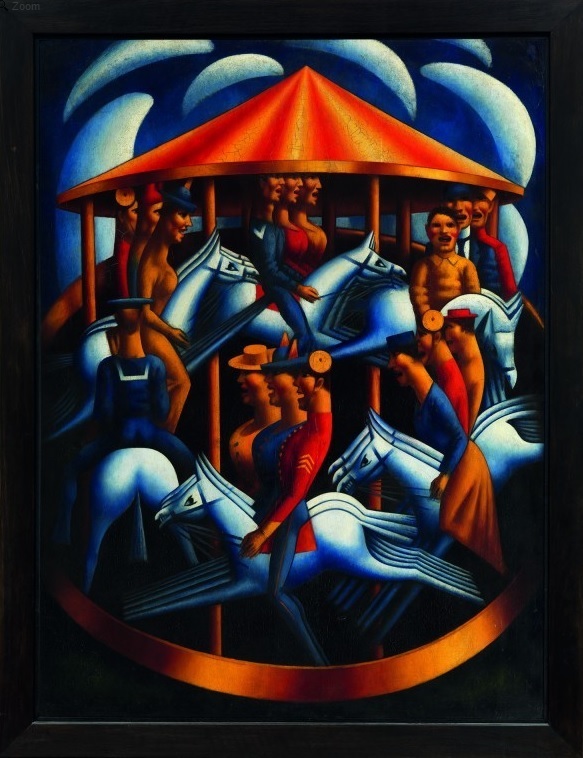 Mark Gertler's merry-go-round populated with silently screaming participants is a disturbing, surreal work. Many references to the Holocaust and Jewish persecution can be viewed within this show, as well as the poverty encountered by many immigrants. There are other great works from two of Britain's greatest living artists, Leon Kossoff and Frank Auerbach — a taster to whet the appetite for Auerbach's upcoming Tate retrospective. Though there are several excellent works on display, it's a shame that we don't see more of the fantastic paintings held within the collection. It's understandable for there to be a focus on historic memorabilia associated with the collection, but we would have liked to have seen more of the great works that are part of the collection. Out of Chaos; Ben Uri: 100 Years in London is on at Inigo Rooms, Somerset House East Wing, King's College London until 13 December. Entrance is free. Nearby is the insightful Unfinished at The Courtauld Gallery, a London focussed prize for illustration at London Transport Museum and the BP portrait award at National Portrait Gallery.